Canadian baby boomers are going to disappear en masse and they are going to leave fewer children behind. The annual cost: $38 billion by 2020. Just after World War II, from 1945 to 1960, there were about 28 births per 1,000 people in Canada: These were the children of the baby boom. But these baby boomers did not have many children of their own, and they did not have many grandchildren, either. By 1970, the birth rate in Canada had dropped to 17 births per 1,000 people. Since 2000, it has been hovering around 11 births per 1,000 Canadians. This extraordinary flip-flop in the birth rate explains a number of key phenomena in our collective life during the last 50 years. It will now have a determining influence on the economic and social change that we will witness during the coming decades and certainly between now and 2020. As my colleague and friend, David Foot, of the University of Toronto, likes to say: "Demographics explain two-thirds of just about anything!" The notable phenomenon of the years 1960 to 1980 was the mass entry of baby boomers into the workplace. During that period, the number of workers earning a salary and paying taxes grew at a breathtaking rate. The welfare state experienced a rapid expansion. We successively implemented hospital insurance, health insurance, low-cost college and university education, social services, public pension plans, more generous old age pensions, and employment benefits, etc. It was the Golden Age of social programs. Do you admire the politicians of the era — the Pearsons, Trudeaus, Douglases, Robartses, Lesages, etc. — for developing our great social programs? You are right in doing so, for they were great people. But, from a financial perspective, they had an easy time of it. Money was no problem. The huge addition to the tax revenue from the baby boomers was great food for their imagination. The consequence is obvious: Our governments will be cash-strapped. This year, 51 per cent of Canada's total population is working. In 2020, when the baby boomers' departure will be well underway, only 49 per cent of the population will be working, if employment rates by age remain stable. The overall employment rate will thus have dropped two points from 51, the equivalent of a 4 per cent drop. What will the impact be on government tax revenues? We can calculate how much governments would have lost in 2006 if the number of taxpayers had suddenly dropped by 4 per cent. Since Canadians will pay $500 billion in income and other taxes this year, our governments would have collected $20 billion less (4 per cent of $500 billion). But that's not all. 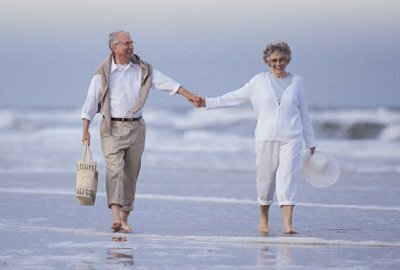 The passage of this large group of baby boomers into their golden years will push the percentage of senior citizens 65 years of age and older from 13 per cent of the total population in 2006 to 18 per cent in 2020. A senior citizen costs, on average, five times more in terms of health-care costs and social services compared with a younger adult. As a result, between now and 2020, there will be a 14 per cent increase in annual provincial spending in health care and social services — above and beyond the already extremely rapid increase in spending over the past several years (on average 7 per cent per year since 2000). Once again, a simple way to comprehend the financial import of this demographic shock is to calculate the impact of a 14 per cent increase in provincial health care and social services spending in the year 2006. Given that total spending in these two areas will reach $112 billion this year, the 14 per cent increase would add $16 billion to the pressure on provincial finances (14 per cent of $112 billion). Another government program that is going to suffer the effects of the aging baby boomer population is federal payments to seniors, including the venerable "old age pension" and the guaranteed income supplement for lower-income seniors. With 13 per cent of the population currently 65 years of age or older, the federal government expects to spend $31 billion in payments to seniors in 2006. If this percentage were to suddenly jump five points to 18 per cent, as is expected for the year 2020, Ottawa would have to come up with $12 billion more in 2006. Will the aging of the Canadian population allow at least some savings? Yes, in the areas of children's benefits, child-care allowances and education funding. According to the average birth-rate and immigration scenario put out by Statistics Canada, the relative weight of young people (0-19 years old) in the total population will drop by 13 per cent between 2006 and 2020. School enrolment will decline accordingly. This will permit proportional reductions in federal children's benefits and provincial education and daycare spending. In 2006, the combined value of all these expenditures on children and students is $79 billion. If these expenses dropped suddenly by 13 per cent, governments would save $10 billion. Will the demographic transition threaten the viability of our public pension plans? No. To avoid any slips due to demographic shock waves, the various levels of government proactively revised the structure of the Canada Pension Plan and the Régime des renters du Québec some time ago. The general contribution rate was upped to 9.9 per cent of insurable earnings in 2003. This rate will only need a slight increase to permit adequate financing for retirement income of baby boomers and their children for the foreseeable future. To sum up: Baby boomers born between 1945 and 1960 are going to retire en masse but they will leave few children and grandchildren behind them. Canada is thus going to undergo a major demographic transition. To highlight the financial consequences, I have presented a scenario that applied future reality to our current state of affairs. I have calculated the impact that demographic changes would have on public monies in Canada in 2006 if the age pyramid expected for 2020 suddenly applied today. The result would be a marked deterioration of public finances. As we saw, tax revenues would drop by $20 billion; provincial spending in health and social services would increase by $16 billion; federal payments to seniors would rise by $12 billion; allowances for children, education spending and child-care spending could decrease by $10 billion. In total, if it were applied today, the age structure of 2020's population would make a hole of $38 billion in government budgets for 2006; this would be split about evenly between the federal government and the provinces. In other words, there would be a new kind of "fiscal imbalance," demographic in nature. But this time it will hit Ottawa as hard as the provinces. Even worse, after 2020 the problem will not disappear; it will, in fact, grow. As of 2010, year after year, governments are going to see more and more disappointing tax revenues. The problem of health-care funding, which is already a hot issue today, will become absolutely dramatic as the baby boomers get older. Federal payments to seniors are going to see unprecedented growth. While provinces may realize some savings in education, these will only partially compensate for the drop in tax revenue and the explosion in health-care spending. As for pension plans, they will deal with the shock without too much difficulty. Financially, governments have three options: go back into debt (the Japanese approach), cut or privatize public services (the U.S. approach) or raise taxes (the Swedish approach). Each government will choose the combination that best matches its political philosophy. But in Ottawa, just as in the provinces, we cannot exclude the possibility of a new cycle of debt. A funding crisis could lead, more quickly than one might think, to a major transformation of our cherished health system. And we had better forget about major tax reductions for quite some time. Governments can implement two main kinds of policies to deal with the demographic shock: a policy of economic growth and a policy of intergenerational solidarity. They can accelerate economic growth in the usual ways — fight unemployment and poverty, support employment of older workers, accelerate the integration of immigrant workers and foster education, entrepreneurship, savings, investment, innovation and productivity. Stronger economic growth will reduce the effects of overall economic decline and tax revenue losses due to the disappearance of the baby boomers. Also, governments can try to protect new generations from debt, program spending cuts and tax hikes by convincing current generations to proactively share the tab. This policy of solidarity between generations would be based on the repayment of public debt. A reduction of debt financed by today's taxpayers will reduce interest charges paid by the taxpayers of tomorrow, who will therefore have more money to access the same level of public services as today, without being forced to overly add to their tax burden. To me it seems self-evident that after having treated themselves to a great party, baby boomers would want to not leave all the cleanup duties to their children. Two governments in Canada have followed that path: the federal government and the government of Alberta. For several years now, each federal budget has set aside a sum to repay part of the debt. For its part, Edmonton has followed in Norway's footsteps and has actually finished reimbursing its debt through oil and gas royalties. Other governments could follow their lead. Quebec, Manitoba and British Columbia could sell their electricity at market price rather than massively subsidizing consumption. As well as being ecological, such a move would free up money to repay provincial debt. There is an obvious political obstacle to overcome: it is difficult to take the gift of cheap electricity away from taxpayers who are so used to it. But the citizens of these provinces might just be convinced to pay more for their electricity if they believed that the money earned would truly be used to an end that is dear to them: the future of their children. Those who think my analysis unduly alarmist are wrong. The passage of baby boomers to old age is not weather forecasting; it is based on fact. And the amount of the tab they are going to leave us with is both large and unavoidable. Our task is one of lucidity and solidarity. We must recognize the problem, create solutions and share the cost in an equitable manner. There is only one acceptable way to face the future: with eyes wide open.